In conjunction with Federal Territory Day celebration, KL Tower would be organizing the "KL Rush Explorace 2017" on Sunday, 26th February 2017 from 7am until 3pm. The race would start at KL Tower and move to multiple locations which have been identified before ending back at KL Tower. 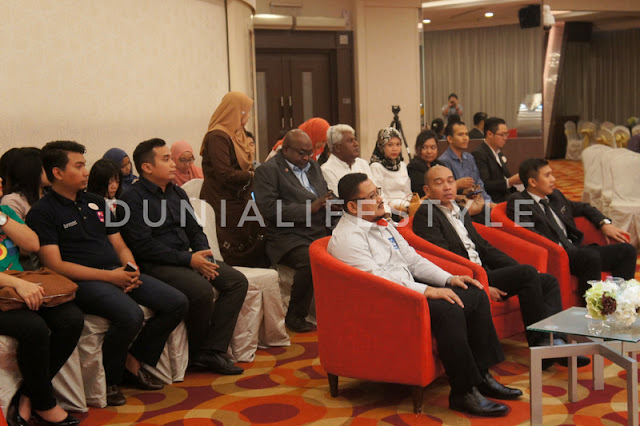 The race would take the participants to some of the key tourist locations around Kuala Lumpur City that are well-known amongst tourist from local and overseas, while completing physical test and tasks that will challenge their minds in a predetermined time period. 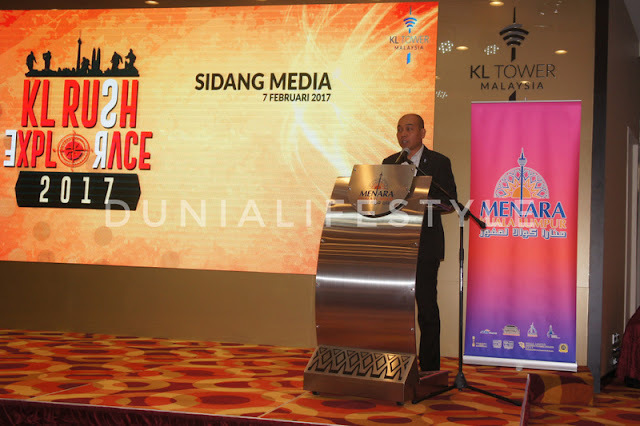 "The main focus of KL Rush Explorerace 2017 is to raise the participant's awareness on the Kuala Lumpur City historical and tourism attractions, as well as beside to support initiatives from government and local council to instil the love for Kuala Lumpur City." says Meor Shahril Anuar, Chief Executive Officer of KL Tower. "It also coincides with our aspiration to promote KL Tower as a destination for Culture, Adventure and Nature. 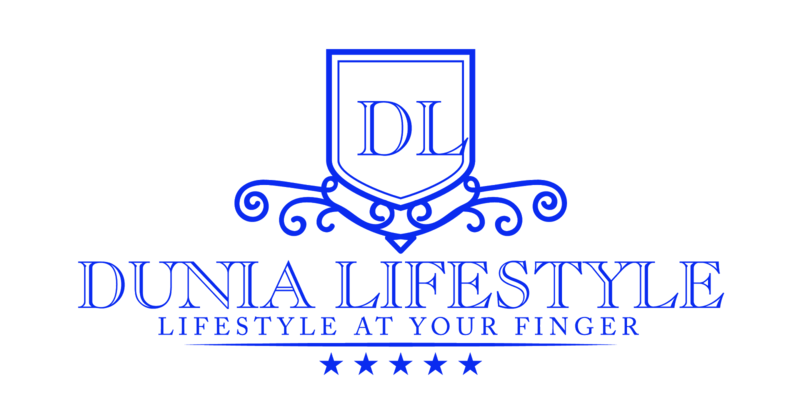 It is also aims to provide a fun and engaging experience for all participants," he added. Participants would explore Kuala Lumpur either on foot or using public transportation, as they race to complete the race missions during the designated time period. 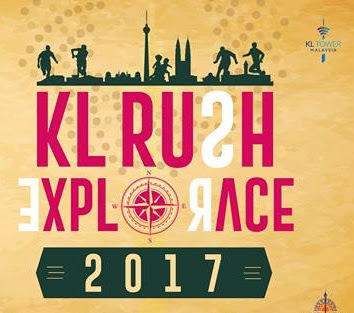 KL Rush Explorerace 2017 aims to attract 150 teams from public, corporate organizations, government agencies and of course, the treasure hunters. To register, participant can fill up the online registration form available at www.menarakl.com. Participation is by a team of four individuals where the minimum age is 18 years old. Participants fee for the public is RM240.00 per team (minimum four individuals). Other partners who also collaborates in this event are Ministry of Federal Territories - City Hall Kuala Lumpur (DBKL) through Kuala Lumpur Tourism Bureau (KLTB), Ministry of Tourism and Culture (MOTAC), Malaysia Tourism Centre (MATIC), Eminent Display, Webe, Starbucks, KL City Gallery, KL Bird Park, Rapid Rail, Oishi, Hi Top Tea,Kuala Lumpur Forrest Department, Muzium Telekom, Elang Wah Sdn Bhd (HoHo), Ultron and Adabi. Don't miss opportunity to take part in this challenging event that will test your mind and endurance. While enjoying a variety of activities and fun challanges as well as the beauty and uniqueness of the Kuala Lumpur City, you would also stand a chance to win the overall cash prize worth RM10,000 and other prizes too. For registration and further information, please call 03-20205448 or visit KL Tower official website at www.menarakl.com.my.